SILICA is a wireless security vulnerability assessment and penetration tool. It simplifies the task of scanning your wireless networks and WiFi-enabled devices as it integrates a large number of WiFi specific attacks with a user friendly graphical interface. Unlike traditional scanners that merely identify possible vulnerabilities, SILICA determines the true risk of a particular access point. SILICA does this by unobtrusively leveraging vulnerabilities and determining what assets behind the vulnerable access point can be compromised. Additionally while traditional scanners can enumerate the vulnerabilities of a particular target, they cannot evaluate whether a mitigating control is in place on the target or in the surrounding environment. With SILICA’s unique methodology it can report on whether a vulnerability can be successfully exploited. Highly automated, SILICA has a one-button interface for many of the actions that a security professional will want to take during an assessment. SILICA also implements threat detection modules that can passively scan for malicious attacks or unintentional vulnerabilities. SILICA gathers and consolidates all information from its modules with a polished user interface designed to support a large amount of information without performance loss. SILICA runs inside a virtual machine. Each SILICA user will receive an email with their credentials and instructions on how to activate SILICA. VMWare Workstation, VMWare Player or VMWare Fusion are required. SILICA comes with two wireless cards, however only one is required for regular SILICA use and activation. The additional wireless card is only required to perform the KRACK attack. For activation SILICA requires an Internet connection. Make sure you are online and the SILICA main Wireless card is plugged when you activate your account. Unless explicitly stated in the release notes, the virtual machine does not change for each SILICA release, so it is not necessary to download the virtual machine again to obtain the last version. Updates can be deployed by clicking the UPDATE button on the SILICA interface. Troubleshooting: By default, the virtual machine has a virtual interface set in bridge mode. On some networks, for example on networks with whitelisted MAC addresses or guest networks with captive portals, this would result in no Internet connection, and thus in SILICA not activating. The virtual interface mode can be changed to NAT in VMWare’s VM > Settings submenu to resolve this issue. Virtual network interface mode to be used if bridge mode does not work. This chapter has a brief overview of the SILICA user interface and how to interact with it. As soon as SILICA starts, it begins scanning for wireless devices by hopping through all the wireless channels. Detected access points are listed under the Network Listing tab. There are 4 top buttons that can be accessed from any tab. There are additional buttons on the bottom bar that are specific to the current tab. The SCAN button can be used to control whether to scan for wireless networks and devices. For each network entry, right-clicking shows a submenu with the available actions. The Discover key and WPS menu options launch the WEP/WPA attack and WPS attacks to try to obtain the preshared key for the WLAN. When an access points pre-shared key is set in SILICA, a different set of modules options are available. After a module is started, the Log tab will be updated to show its progress. A module can be stopped at any moment by clicking the STOP button. Each row in the Network Listing Tab represents a Basic Service Set (BSS). A BSS can be formed by either infrastructure mode redistribution points, or by peer-to-peer ad hoc topology devices. The Type values for BSSs are “AP”, or “Ad-Hoc”. In this manual, we will refer to them as Access Points (AP) as that is the most common network architecture. Each AP has a set of clients that can be seen by clicking the Expand button or by expanding the row entry. A client can be either a wired host connected to the network, or a wireless station. The Type values for clients are: “Client”, “Client(Wireless)”, or “Client/AP”. Client describes a device that is either a wired client, or a wireless station outside the detection range. Client(Wireless) describes a wireless station of the access point. Client/AP describes a MAC address that was both detected as joined to an access point and announced as an access point itself. There are Two APs in this listing. The C0:4A:00… AP is also a client of the Cisco AP. The Cisco AP has 4 wired clients and only one wireless client. BSSID of the AP. For clients, the MAC address of the device. A measure of how interesting each AP is from a practical attacker point of view. The scale is red/yellow/green, with green being the most interesting. Green: SILICA has the encryption key or it’s vulnerable to the Pixie Dust attack. Depending on the AP traffic colors may change. Number of Wireless: Number of wired clients. The Service Set Identifier (SSID) for the network. This field may be hidden for some access points. If a hidden SSID is revealed by sniffing a probe response or association request/response, the background of the cell will be in dark gray. Number of data packets sniffed. 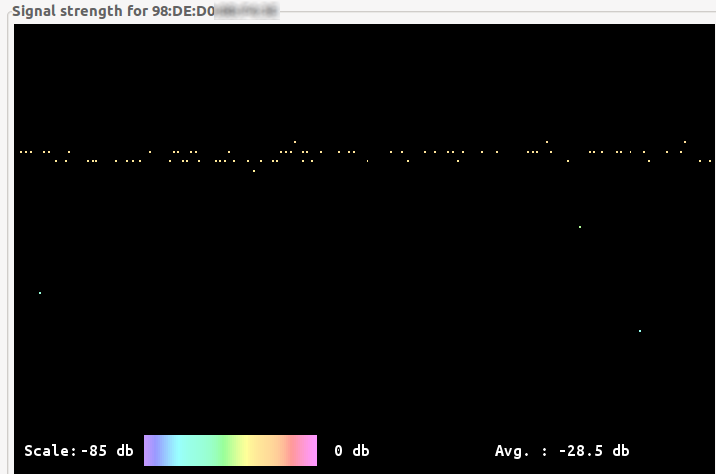 Signal-to-noise ratio of packets received from the access point as reported by the wireless card. Wireless channel of the WLAN. WPS PIN recovered by a WPS attack. Last time a packet from this AP was sniffed. Entry color will change to a lighter gray as time passes without this value being updated. Vendor of the AP derived from the BSSID’s UI. Additional AP information obtained from the WPS modules. Launch WEP or WPA attack. Launch denial of service attack against stations connected to this AP, so they are disconnected from it. WPS attack or information retrieval modules. Connects to the WLAN and uses a reduced version of the CANVAS network exploitation platform to probe or attack the network. Connects to the WLAN and uses ARP spoofing to establish a MITM network position. Connects to the WLAN and performs packet injection attacks. Performs a key reinstallation attack combined with an ssl-stripping and spoofing attack. Plots a real-time graph of signal strength. Tries to capture HTTP cookies from stations connected to the WLAN. This menu option is available only for stations. It will send deauthentication packets only to the selected station. As long as SILICA is running, a background WPA handshake sniffer module will be storing the last captured WPA handshake for every AP to the file system in the /su/Reports/WPA_HANDSHAKES folder. These handshake files, stored in .pcap format, can be used by external tools for cracking, or can be used from the Key Recovery tab. Active or passive key recovery attacks can be launched from the Discover Key submenu on the Network Listing tab. When this option is selected for a WEP WLAN, an active WEP key recovery attack using ARP injection is launched. When this option is selected for a WPA WLAN, if a handshake was not yet captured, an active deauth attack will be launched until a handshake is obtained. Once the handshake is captured, offline dictionary cracking is started to recover the key. SILICA includes a one million wordlist dictionary. KRACK is a man-in-the-middle attack between a target access point and the target devices that try to connect to the network. When a vulnerable device tries to connect, SILICA will intercept the packets and replay them in a way that will cause the device to install an zeroed-out encryption key. SILICA will then proceed with ssl-stripping and ssl-spoofing attacks against the target device. The module supported targets are wpa_supplicant 2.4 and 2.5, and was tested on a stock Ubuntu 16.04.1 target. To make the KRACK attack work, SILICA requires two wireless cards, as the fake access point needs to be on a different channel than the real Access Point. If SILICA is not able to initialize the second interface when starting the KRACK attack, an error message (in red in the log window) is displayed and the module stops. The signal from SILICA’s card should be stronger than the real AP from the target's point of view. The target should try to reconnect to the network (SILICA will not try to force the target to reconnect). Real time signal-to-noise ratio graphs are available for both access points and stations. These can be used to better position your wireless card, or to try and find the location of a wireless device (a directional antenna could be of help in that case). Higher dots represent stronger signal. A color code is also used but not very visible here. A reduced version of the CANVAS network exploitation platform (https://www.immunityinc.com/products/canvas/index.html) to probe and attack the target WLAN is included with SILICA. In addition to a number of remote code execution exploits, authentication bypass exploits that try to access the administrative interface of the target access points are included as well. An access point administrative interface accessed using an authentication bypass exploit. Results from these modules are stored in the Reports folder on the /su/Reports/default/<ip> path, and also added to the Attack Tree tab. WPS bruteforcing is selected from the WPS > Get WPS PIN (full bruteforce) submenu. It will iterate over up to 11000 PINs. When successful, the WPS PIN and WPA shared key for the target are obtained. SILICA supports resuming an interrupted bruteforce attack against a target. NOTE: Many access points do not handle large numbers of WPS authentication events well, either as a protection or as a result of bugs, so in those cases this attack will most likely fail. WPS default PINs are tested by either WPS > Get WPS PIN (full bruteforce) or WPS > Get WPS PIN (try only default pins). Certains access points are known to have PINs that can be derived from their BSSID, and SILICA will try these first. Offline WPS PIN bruteforcing, also known as the Pixie Dust attack, is also attempted with any WPS attack. If successful, this attack will be very quick (less than one minute) as it does not need to try multiple PINs against the access point. While scanning, SILICA will sniff for probe requests to populate this table. Each row represents an SSID probed for by a wireless device. Custom SSIDs can also be manually added by filling the text box next to the “Become custom AP” button and clicking the button. By right-clicking a row, a variety of Fake AP attack modules can be launched using the row’s ESSID and Channel as a parameter. When running a Fake AP module, SILICA will accept connections from wireless devices trying to connect to the spoofed SSID. Network traffic from the devices (stations) will be monitored for cookies and credentials, and these are stored in the Cookie Viewer, Attack Tree and Passwords tabs. Sets encryption method and parameters of the Fake AP. When radius authentication mode is set, stations probably will not connect to the Fake AP, but challenge/responses will be logged for offline cracking in the Passwords and Attack Tree tabs. Set channel of the Fake AP. Starts the Fake AP. 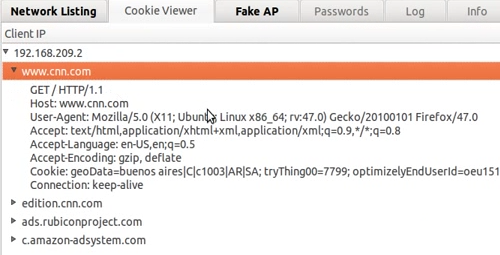 Inject exploits in the HTTP traffic of stations that connect to the Fake AP. Starts the Fake AP. Performs man-in-the-middle attacks between stations and the websites that they connect to in order to remove or spoof SSL connections. Starts the Fake AP. Creates fake services for popular internet services in order to capture credentials. Also launches the SMB proxy attack. Common open WiFi SSIDs (guest, free, etc) are shown in green. Older probes or with lower signal are shown in red. Hostname from stations connected to the Fake AP. IP assigned to each station by the Fake AP. Number of sniffed probes for each station. Instead of impersonating one SSID, the FakeAP will respond to all probe requests, trying to get as many stations as possible to connect. Check that SILICA can connect to the Internet before starting the Fake AP. Intercepts HTTP and HTTPs connections. Instead of responding to all probe requests, implement custom filters to limit which devices and SSIDs to target. 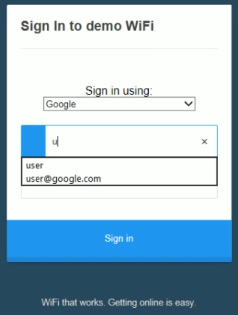 Redirect HTTP traffic from stations when they first connect to a fake captive portal that will accept any credential and log it to the Passwords and Attack Tree tabs. The client-side injection module is active when the Fake Ap is started by the Become this network with client-side injection submenu. HTTP traffic from stations is intercepted and a hidden iframe HTML tag inserted into the HTTP responses to the target browser. From this hidden iframe, a number of remote code execution client-side exploits are deployed. If any exploit is successful, the post-exploitation modules are run on the target. The SSL stripping and spoofing attack is active when the Fake AP is started by the Become this network with ssl-stripping and self-signed certificates submenu. HTTP traffic is intercepted and HTTP responses are modified on the fly to change any https:// links to http://, as to prevent the victim browser from using TLS. HTTP headers in HTTP responses are modified as to make HTTP cookies expire in order to force the targets to re-authenticate. As in any Fake AP attack, HTTP requests are inspected for credentials (user names, passwords, tokens, etc). The spoofed SSL certificate attack is implemented by intercepting traffic to the 443 (HTTP/SSL) port. Self-signed SSL certificates are used to intercept the traffic. If the target browser and the user accept the spoofed certificate, this module will forward requests and responses to the real server in order to inspect the HTTP traffic. Any captured cookies and credentials are logged to the corresponding tab. 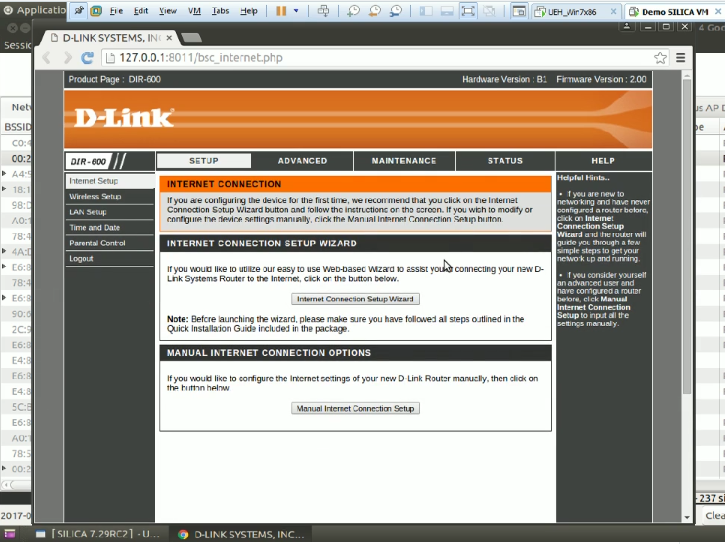 This module is started with the Become this network with service impersonation submenu. This module works by intercepting part of the network traffic from the stations. DNS requests are inspected, and if they match certain predefined domain names or patterns, spoofed DNS responses with the SILICA IP are sent as response. A number of fake service modules are run: DNS, POP, POPS, SMTP, SMTPS, IMAP, IMAPS, VPN, HTTP, and HTTPS. Fake HTTP and HTTPS for popular sites are included. Any credential sent to the fake services are stored in the Passwords tab. This module also intercepts all SMB traffic using an unique SMB Proxy module. SMB requests for ".exe" files will answered with a backdoor to achieve code execution. This works as long as mandatory SMB signing is not enabled on the target. This module may be useful when SILICA does not have an Internet connection, as this is the only Fake AP attack that does not require one. When this option is set, another option is available with the Filter SSIDs and MACs in karma mode button to obtain fine control on what SSIDs and devices to target. Karma filter settings dialog. With these settings, any SSID except “Production_WLAN” will be spoofed, and any station except the two specified MACs will be able to connect. When this option is set, HTTP traffic from each station is redirected to a fake sign-in page until the user introduces any credentials. Captured credentials are added to the Passwords tab. This option is available for Fake APs using the service impersonation module. When the Fake AP is started with the Enable Transparent HTTP Proxy option set, requests from stations to files with an executable extension done over HTTP will be intercepted and the responses replaced with backdoors. This attack works for Windows, Linux and OSX targets. The attack tree shows scan and attack results in a centralized manner, grouped by network, attack type, and target. Entries are shown in a tree format. The first level are the network entries, the second level the attack type, the third level the target devices, and individual results are stored in further levels in a hierarchical manner. Entries can be folded or expanded to collapse the tree visualization. Some entries allow for additional actions to be performed by right-clicking on them. This is signaled by an icon on the Actions column. When SILICA finds a network printer, it will add the PJL file system to the Attack Tree. By expanding the PJL entries, you can explore directories, download files, and exploit path traversal vulnerabilities in the printer's file system. This is done on demand and in real time, so SILICA should be connected to the printer’s network for this feature to work. The general log can be seen in the Log tab. Information from all modules are added here. Successful attacks results are shown in blue. Error information is shown in the Error Log sub-tab. The Status sub-tab has an overview of each module that was launched. When an action entry is clicked, the log is scrolled to the time the module was started, where action parameters for the module can be seen. General log and Status sub-tab showing a successful WPA bruteforcing. This tab allows the user to launch offline brute forcing key recovery attacks. Selects the wordlist (also known as dictionary) used for the key recovery module. Loads WPA handshake in .pcap format used for key recovery attack. Loads VPN or WPA capture file in .pcl (SILICA Pickle) format used for key recovery attack. Starts brute forcing key recovery module. This tab can be used to generate custom wordlists with the specified parameters. The AP Mapping feature is used to create wireless site surveys. This can be useful to detect rogue (unauthorized) access points. By combining spatial information with signal-to-noise data provided by the wireless card, SILICA unique algorithms are able to create high-resolution site survey mappings. Although it is not required, it is recommended to obtain a facility diagram and load it before starting the survey. A capture path is the basic unit of a site survey. There is no limit on the number of capture paths that can be included in a site survey. A capture path is a continuous session of wireless signal capture combined with spatial information provided by the operator. When capturing a path, the capture channel can be set to a fixed value, or it can hop. If hopping, the survey session time should be longer as the quantity of information needed to survey several channels at once is larger. To obtain spatial information, the operator is asked to point to their location in the map, and to press specific buttons when walking, changing directions, or stopping. Walking when doing a capture path is not required, a capture path can consist of just a period of time capturing in a specific location. To obtain a good result, a site survey should cover a certain portion of the map, especially along the facility perimeter. Visualization maps are updated after every capture path recording. The captured data visualization can be used to validate that enough data is being captured. After the site survey is completed, the locations of known AP should match the position shown on the heatmap or zone visualization. Loads a site survey from file system. Saves current site survey to file system. Loads facility diagram. Supported image formats are: PNG, BMP, and TIFF. Sets wireless channel used for capturing. A site survey using multiple channels needs to be proportionally longer to archive the same level of detail. Start a capture path. Multiple capture paths can be performed in the same site survey. The operator should follow the instructions shown in the Help box to provide the spatial information. The operator is first asked to click on the current position on the map after clicking this button. Discards last recorded capture path from site survey. With this button the operator informs SILICA that they are leaving the stationary position and that they can start moving in a linear path at a constant speed. The operator can click on the map each time they change velocity (direction or speed). A zero velocity is valid so they can click on the map when stopping instead of pressing the Stop Walking button. With this button the operator informs SILICA that they stopped moving. After clicking this button, SILICA will ask the operator to mark their current location on the map. Site survey with one capture path. There are different visualization maps used to show site survey results. Based on the estimated signal power of the access point that is most powerful in each location. It is also available for individual access points. Can be useful to locate rogue access points. Based on the estimated zones of influence of the access points. We call the zone of influence the area where the signal from one access point is more powerful than from any other one. 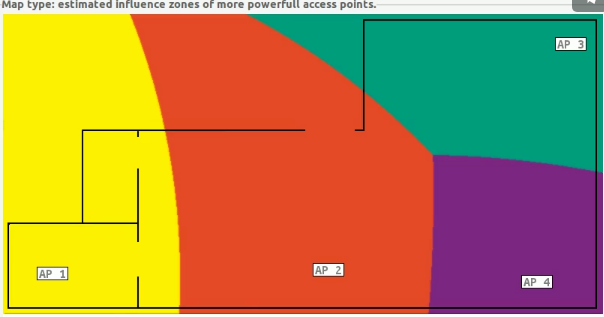 The color coding of this visualization shows both the signal power and the number of captured beacons captured in each location for a given AP. This can be useful to validate that enough data was captured to generate an accurate site survey, and also to detect spatial location errors made when performing the site survey. SILICA analyzes captured beacons and probe responses looking for possible malicious access points. Any access point possibly spoofing a valid SSID will be added to this tab with the reason that the AP is suspicious. There is one entry for each unique BSSID/Channel pair. Suspicious access point showing a high number of changes. The color code is yellow for suspicious but probably benign configuration changes. Red is for known malicious or highly unexpected conditions. 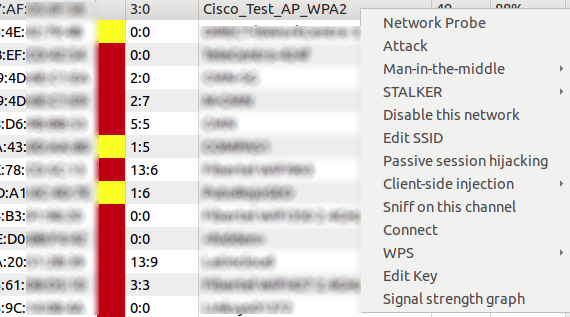 There is one submenu, Sniff beacons and probe responses for this BSSID, that will launch Wireshark with a specific filter for inspecting the relevant packets. There is an Info text box with additional information for each entry. Number of changes detected on the AP configuration. High values could mean that an evil twin AP is present in the same channel sharing the same BSSID . APs regularly emit beacons. In case an irregular beacon interval is found, this may mean that an evil twin AP is present sharing the same BSSID. Shared ESSID are common. More than one Access Point can have the same SSID when they are part of the same Extended Basic Service Set (ESS). Same APs emit beacons in more than one channel, but multiple channels could also be a sign of a twin AP. Multiple changes in the ESSID are found in probe responses during a karma attack. Loads session from file system. A session consists of all data displayed in SILICA tabs with certain exceptions like the Log tab information. The loaded information is merged into the current session. That means listed existing content is not purged before loading a session file. Saves session to file system. Warning: in case an existing file is selected, it will be overwritten without prompting for confirmation. In addition to the session file, another file with the same name plus a .csv extension is written. This file can be loaded in a spreadsheet for exporting information. Loads a MAC filter list from the file system. Once a filter is loaded, only devices whose MAC address match one in the list are shown in SILICA’s tabs. The format of the file is a plain-text newline separated list of MAC address. Loads a newline separated domain filter list from the file system. Once a domain is loaded, only credentials directed to domains included in the filter are logged to the Passwords tab. Note that this filter will discard credentials without a domain field. The list of valid channels depends on the regulatory region setting for the wireless card. This setting can be changed from the CARD sub-tab. The Reports sub-tab allows to choose which post-exploitation modules are run after an exploit obtains remote code execution on a target. A custom channel hop list can be defined in the Wireless sub-tab. This list can be selected later via the bottom right button of the Network Listing sub-tab. 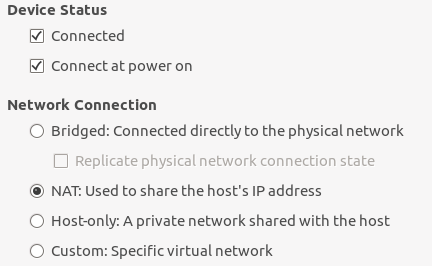 A static network configuration can be set in the IP sub-tab. This configuration is used instead of DHCP when joining a WLAN. The WPS Start and End PIN can be set in the WPS sub-tab to limit the WPS bruteforce range. See SILICA in action by watching the latest videos from Vimeo.